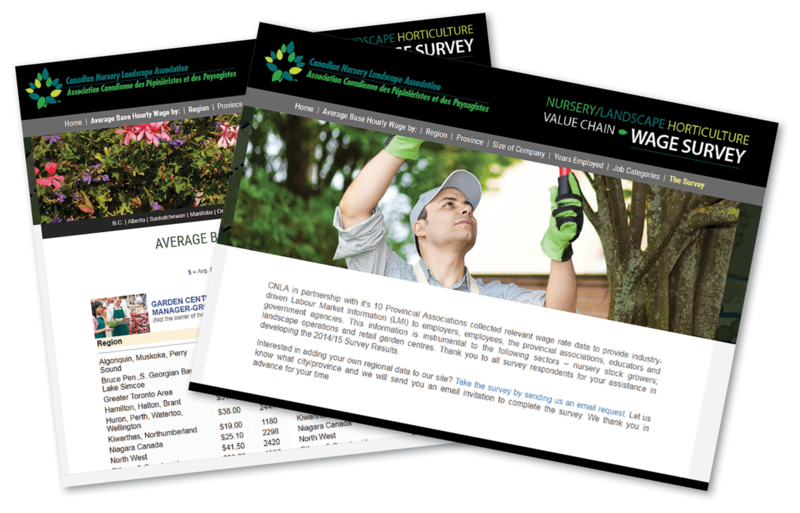 CNLA is conducting a wage survey starting in the fall to update statistics for our members. The last survey was conducted in 2014-15. Wage information provides a valuable picture of the industry for member companies and can be used to attract labour. CNLA encourages members to gather information prior to completing the survey. Information required includes: Average base hourly wage: total the number of employees working within a specific job description and divide that total by the average base hourly wage of those employees. Base hourly wage is the straight time pay not including overtime, shift premium, bonuses, benefits, profit sharing, payroll deductions, etc. Converting salary into base hourly wage: divide the total gross salary/week by 40 hours. Average number of hours worked annually: total the number of hours for all employees that do the job presently and divide by number of employees. Average years of employment within business: total the number of years of employment of all the present employees that do the job and divide by the number of employees. Total number of employees: total number of employees for that specific job. More information will be sent in coming weeks. Garden Centres Canada and the Professional Development Committee are pleased to announce the Landscape Industry Certified (LIC) Retail Horticultural Online Training Program is now free to members. Shipping charges still apply. This will allow members and their employees to upgrade their retail skills and work towards certification. This interactive program will interest owners, managers and associates. Whether you are looking to enhance your knowledge and skills, or working towards your designation as a Landscape Industry Certified Horticultural Technician, this program will help you get there. The 12 module, online program (cnla.ca/uploads/pdf/Retail-Horticulturist-Training-Order-Member-discount-Form-2018.pdf) is another learning tool, which along with the written manual, will take the learner through key aspects of the garden centre business. The successful student will emerge more knowledgeable, competent, confident and valuable to both the business and to the customer. The course may be taken through any internet capable connection including a smart phone. This provides greater flexibility to the learner and does not limit their studies to an office or home. However, when answering the quizzes, it is recommended that a larger screen be used to better select the answer button. We wish you good luck on your journey towards becoming a Landscape Industry Certified Horticultural Technician! The National Association of Landscape Professionals (NALP) has announced plans to reshape the Landscape Industry Certification (LIC) Technician exam for Hardscape and Softscape Installation, and Ornamental and Turf Maintenance modules. NALP owns the LIC program, and CNLA, via the provincial associations, is a licensee of the program. NALP is developing an online format that will replace the current hands-on and written testing format. CNLA’s Professional Development Committee, with representation from the provincial associations, is evaluating changes to the program to determine whether it fits the needs of the Canadian landscape industry. CNLA and the partner provincial associations are committed to serving members by providing industry certification and will continue to offer a certification program that is recognized and relevant going forward. Furthermore, all previous certifications will continue to be recognized. Please be advised that candidates that do not complete all in-progress stations by December 31, 2019, will be required to start over under the new format. Refunds will not be offered for any candidate unable to complete before this deadline. CNLA is working to ensure that new candidates, as well as in-progress candidates, understand this deadline and have many opportunities to complete the process and earn their designation. In-progress candidates: CNLA encourages in-progress candidates to participate in available testing to continue on their path towards certification. A spring session will be held on June 22, 2019. Register now at cnla.ca/training/exam-info. Landscape Canada is currently reviewing the initial draft of a report on the status of pesticide regulations across Canada. LCC commissioned the study by Peter Isaacson (CNLA’s IPM and Minor Use Coordinator) on federal, provincial and municipal responsibilities for pesticide regulation, as well as municipal pesticide bylaws in various provinces. The information will “allow landscapers and green industry specialists to better understand and compare regulations across Canada,” the study proposal states. LCC approved the $2,000 report during a May 29, 2018 conference call. The Canadian Nursery Landscape Association is the federation of Canada’s provincial horticultural trade associations. Visit www.cnla-acpp.ca for more information.